The Russian-Cypriot Gala, to be held in September at the Presidential Palace, aims to develop closer ties between the peoples of the two countries, long-time organiser Olga Balakleets said on Tuesday. According to Balakleets, who initiated the event after travelling to Cyprus 10 years ago and has been organising it ever since, the gala was a success from the start. It is now one of Cyprus’ foremost cultural and social events. Balakleets added that it was also a forum where Russians and Cypriots have been able to discuss business while enjoying a cultural programme. The venture has always been held at the Presidential Palace. The reason for this choice, Balakleets said, was that it was meant as a meeting place “at a high and exclusive level”. Lately, the gala has also received the patronage of the first Lady of the Republic of Cyprus, Andri Anastasiades. The nature of the event also ensures that more money can be collected for charity. All proceeds have gone to the Radiomarathon Foundation over the years. Radiomarathon collects donations annually for people with special needs. 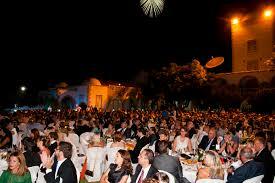 The gala usually attracts more than 600 guests. One year it saw a record 800 attendees. The audience was usually mixed with around 40 per cent Cypriots, 40 per cent Russians and 20 per cent coming from other countries. Some people travel in for the event especially from countries including Russia, UK, Switzerland and Luxembourg. Happy with its success, the organisers haven’t changed the formula over the years. Guests are seated at large tables and first watch the classical part of the programme. Afterwards, they have dinner while enjoying the rest of the programme which includes popular acts and songs from both Russia and Cyprus.